The National Shooting Sports Foundation® (NSSF®), the trade association for the firearms industry, is proud to announce that the Hunting Works For America footprint has grown once again. A new chapter was launched in Columbus, Ohio, today. 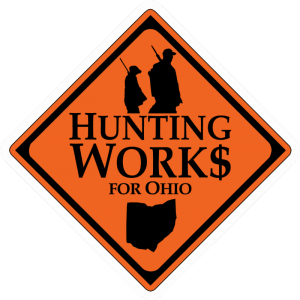 Hunting Works For Ohio joins 17 other states in the award-winning program, which brings a coalition of partners together to advocate for hunting and the shooting sports. Taxes, fees and surcharges paid by hunters when they purchase licenses, tags and equipment fund Ohio’s conservation efforts, benefiting game and non-game species as well as anyone who enjoys the outdoors.